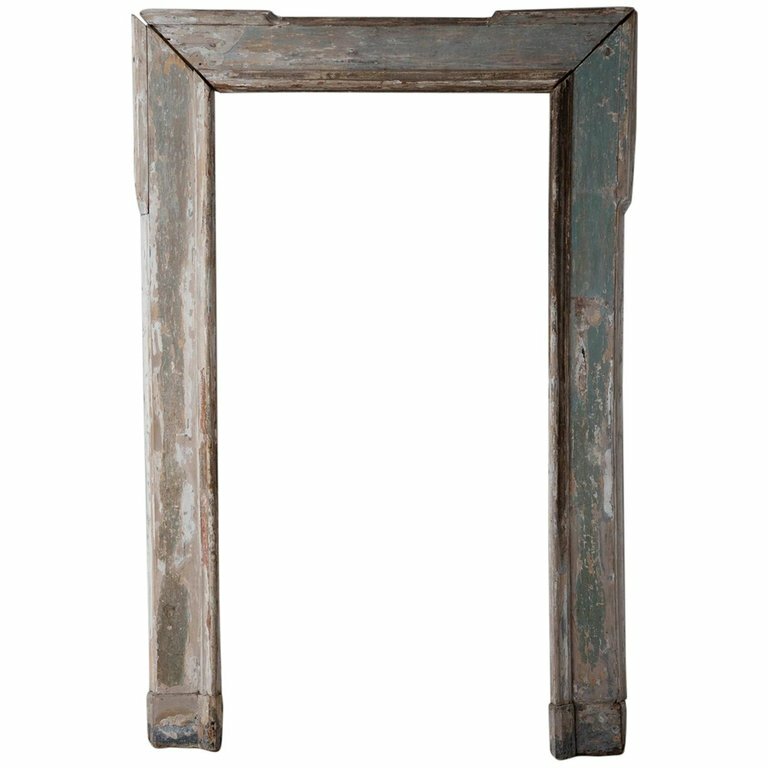 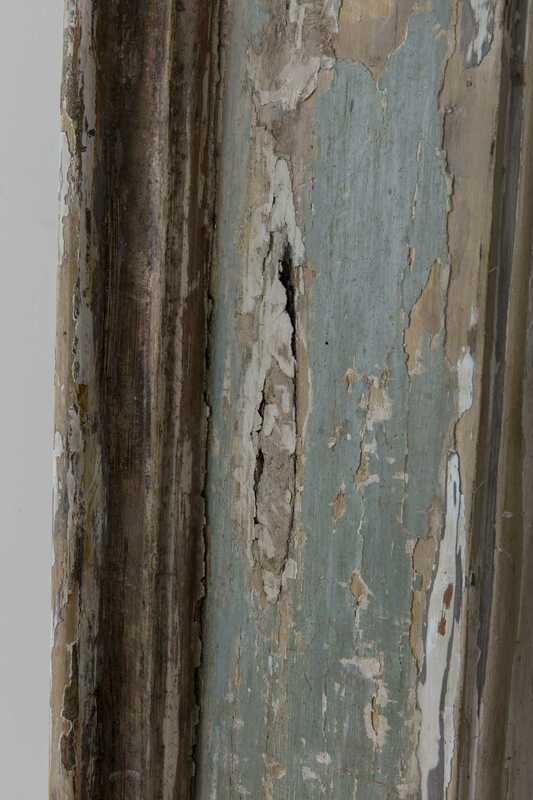 Large 19th Century French Wood Floor Mirror Frame in Original Paint | Maison & Co.
An impressive French architectural wood frame most likely used to frame a mirror. 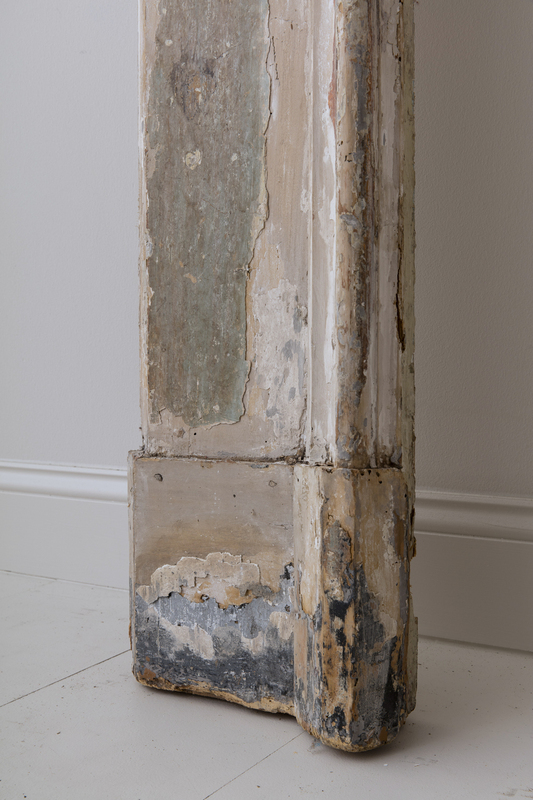 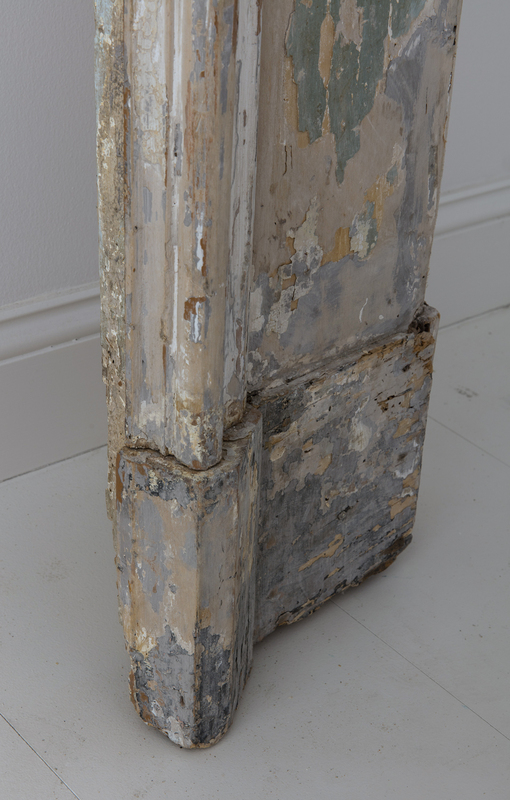 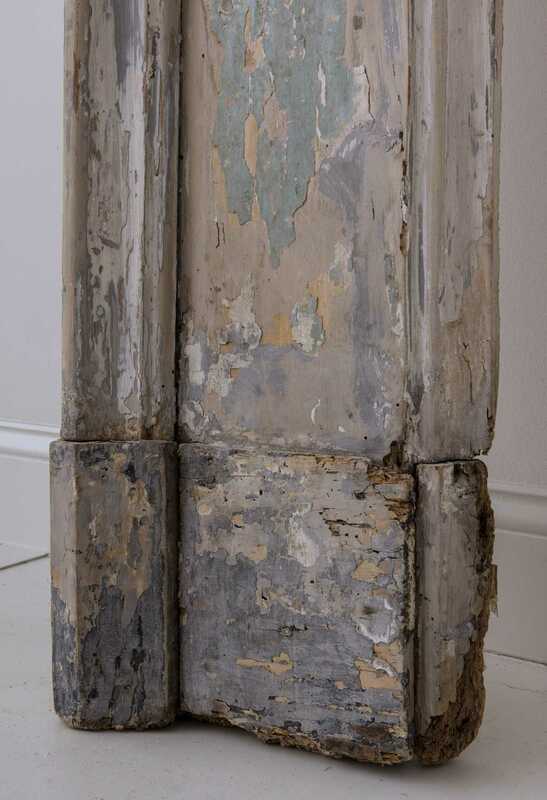 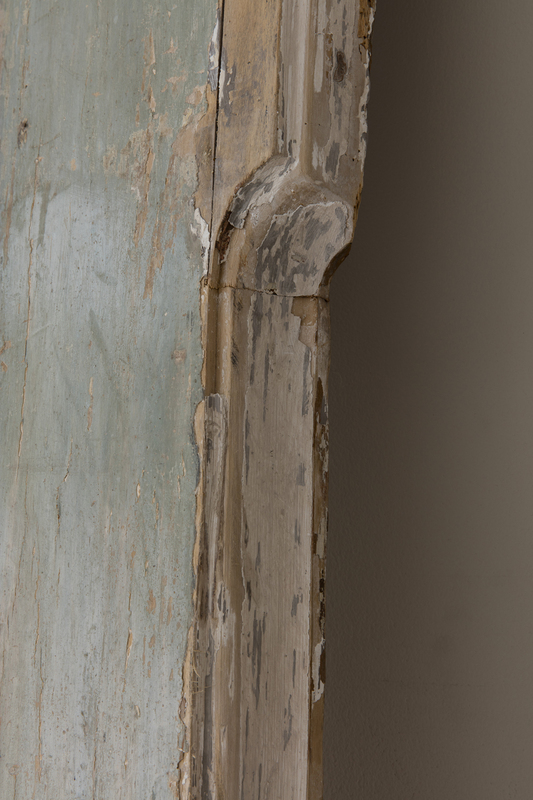 This piece features original paint in a soft, Provençal pale green wearing to reveal natural wood. 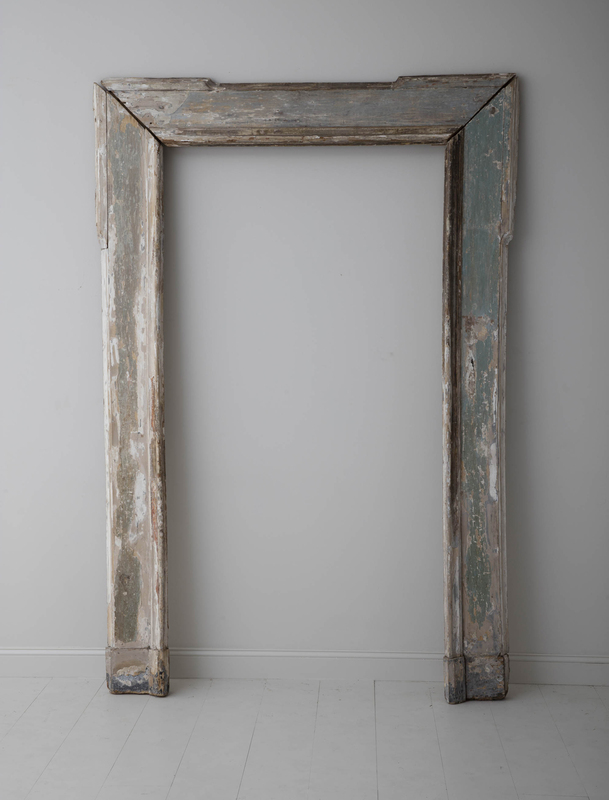 This would be a lovely piece to frame a mirror or simply to provide architectural interest to a room.